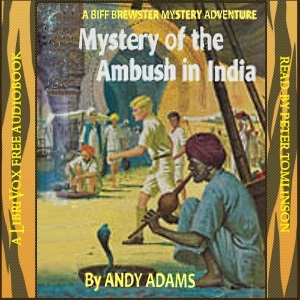 Another Biff Brewster adventure story set this time in exotic and mystical India with much of the action around and near the Himalayas. This story brings together all of the friends that Biff Brewster has made in his previous adventures plus a couple of new friends, and involves his father and Uncle Charles once again, and the other members of his family. Some of the events are spectacular, and tension is held by the involvement of an international spy and other situations including riots in Calcutta, poisonous snakes, a mad tiger, and wild bears, as well as a strange religious cult.